Your best friend has been there with you through the best and worst parts of your life. Whenever something important happens, both good and bad, they are the first person you tell. On their birthday this year, use this Happy Birthday card to show how much you cherish your friendship. Celebrate their special day and show them how much you love them with this nostalgic Happy Birthday card! You and your Bestie - two people against the world. From tackling new experiences to supporting each other through life's struggles, the two of you are as close as siblings. 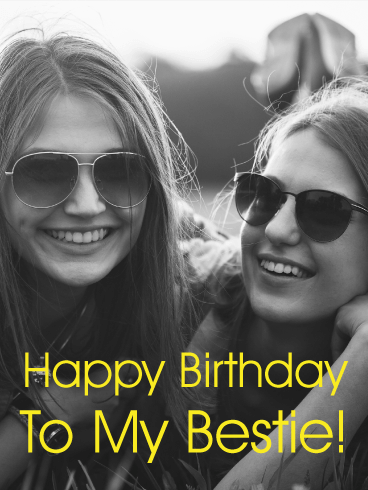 For your bestie's birthday, use this Happy Birthday card to show how much you love your bestie and how excited you are for their special day. 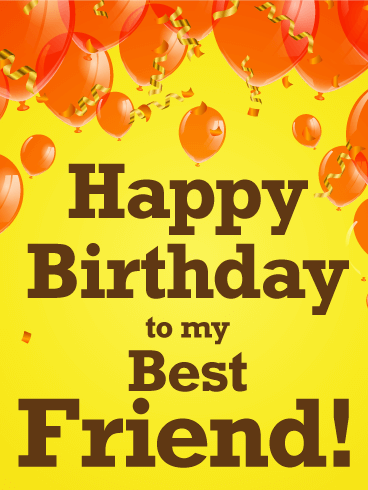 Make this birthday the best one ever and send this birthday card today! Happy Birthday, Buddy! Everyone needs a close friend to help them through life and your friend is the only one you want beside you. 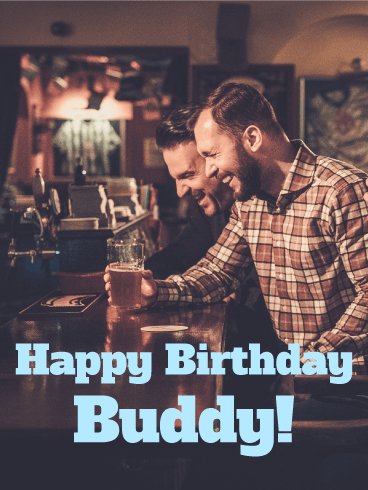 As your buddy's special day approaches, use this occasion as an opportunity to show him how he has changed your life for the better. Honor the many hangouts, nights at the bar, and fun-filled memories you've created together and send this Happy Birthday card today! Peanut butter and jelly, cereal and milk, Tom and Jerry, and peaches and cream - these classic pairings have nothing on your relationship with your best friend! The two of you are always together and nothing will ever tear you apart. 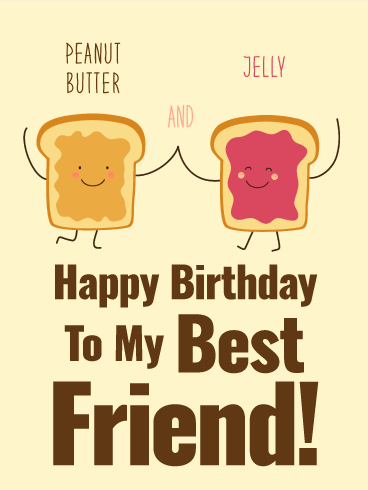 To show your friend how much they mean to you, use this Happy Birthday card to send your birthday wishes! The cute picture and sweet message is the perfect way to celebrate your closest friend on their special day! 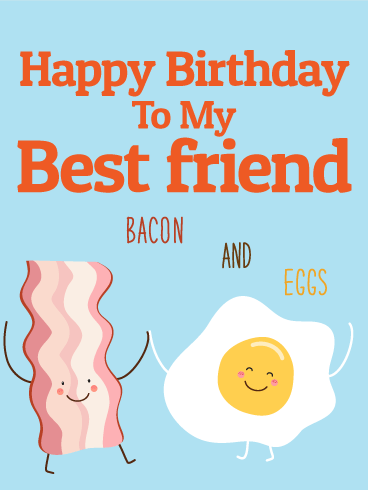 Eggs and bacon are a favorite breakfast food pairing, but you and your best friend are an even better duo! 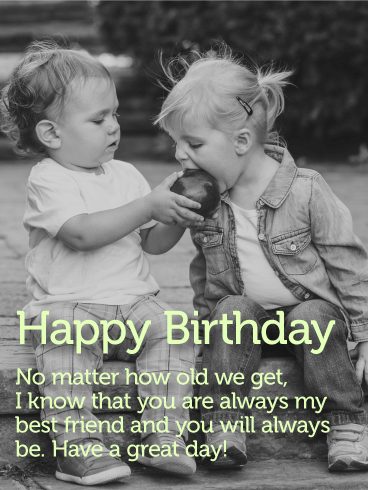 On your closest friend's special day, celebrate everything you love about them with this cute Happy Birthday card! Show them how important their friendship is to you and how much you adore them by making this the best birthday ever!